The talented filly is $4 favourite with TAB Fixed Odds to continue her winning momentum in the Australian Turf Club Sprint (1000m) at Randwick on Saturday. She Knows contested three races last spring, scoring once at Randwick, but she has been in full work since February and Saturday is lining up for her eighth start this campaign. “She has been fantastic for us, she has taken us on a memorable ride this season,’’ Williams said. “This filly has a great constitution and her attitude is also very good. “She is a very relaxed filly now which is a big help but that wasn’t necessarily ­always the case. “As a younger horse, she was injured in a spelling paddock and was a bit ‘touchy’ earlier on. She Knows has a particular liking for the Randwick 1000m course, where she has won twice in her last three starts. This fact swayed Williams to leave She Knows in Sydney rather than chase black- type success at Flemington on Saturday. “Craig Williams (no relation) wanted me to take her to Flemington but she is not a very strong 1200m horse,’’ the ­trainer said on Friday. “We would like to try to win a black-type race with her and there are some suitable races coming up in the spring. “I’m taking it race by race with her at the moment because she has been up a while and at some stage she will definitely need a break. “After this race (Saturday) we might look to give her a short break but she won’t be out for too long. “She hasn’t really had a long spell before because if she is out for too long she can get too ‘fat’. Williams is taking another filly to Randwick on Saturday he believes compares favourably to She Knows in the relatively unheralded Highway Sixtysix, who is lining up in the TAB Highway (1200m). Highway Sixtysix has won only a Wagga Wagga maiden in her short four-start career and is resuming off an eight-month spell but Williams holds the filly in high regard. “I really don’t think there is a lot between She Knows and Highway Sixtysix,’’ Williams said. Highway Sixtysix hasn’t raced since finishing third to stablemate Tiger By The Tale in a TAB Highway at Randwick back in November. Williams, who has trained 14.5 TAB Highway winners to trail only Matthew Dunn (16 wins), revealed he was setting Highway Sixtysix for the Goulburn Country Championships Qualifier last autumn when the filly unfortunately contracted a viral infection. “I’ve only had her back in work 11 weeks and this race has probably come around a week earlier than I would have liked,” the trainer said. Williams, who has six starters on his home track meeting at Goulburn on Friday, including favourites Tiara Road (race 3) and Pierino (race 7), believes his stable is well set up for the new season. 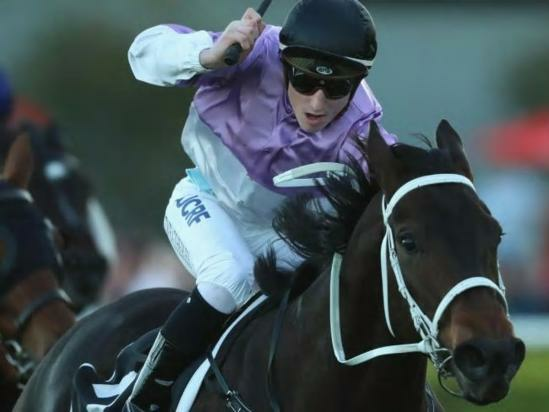 “We would like to capitalise on our success and our goal for next season is to try to stay in the top 10-15 trainers in Sydney,’’ Williams said.